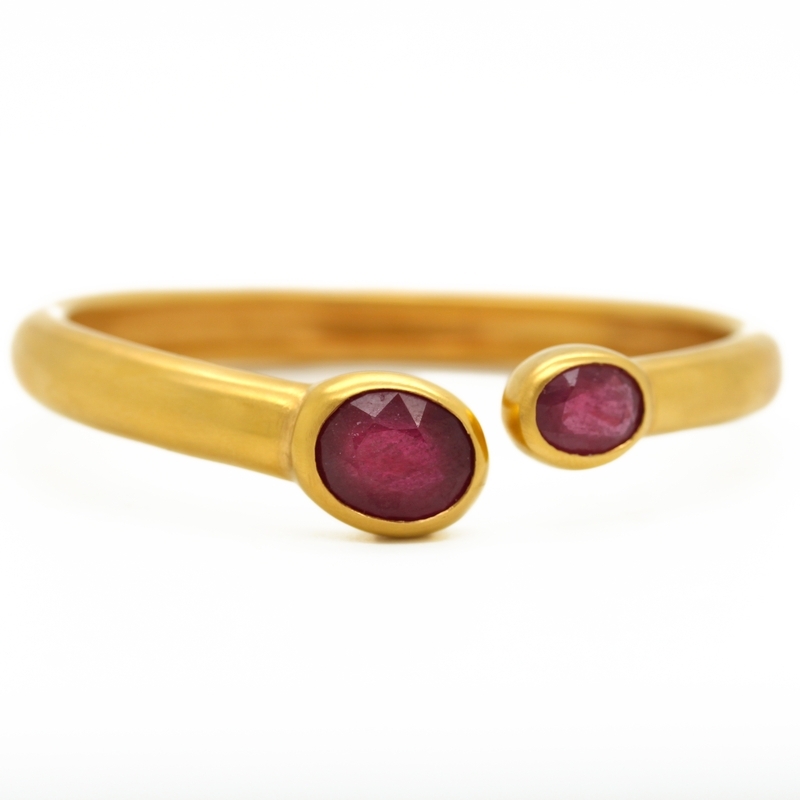 Italian Ruby Bypass Cuff In Yellow Gold-Plated Silver at Reliable Gold in Providence, RI Reliable Gold Ltd. 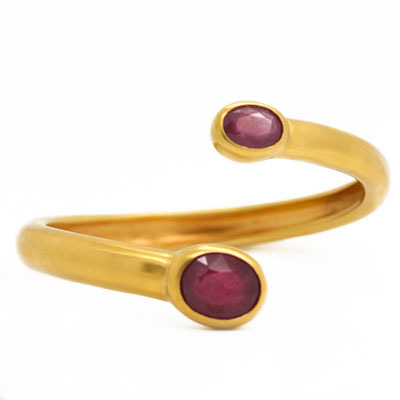 Stylish and beautiful bypass cuff from Italy with large faceted rubies at ends and set in yellow gold-plated sterling silver. 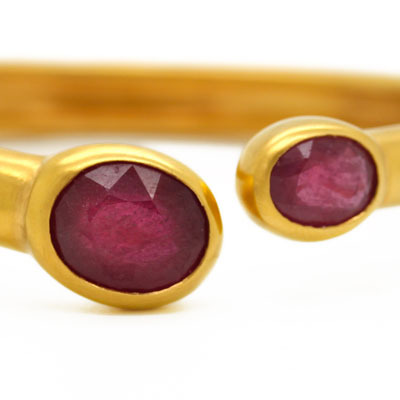 Adjusts for a perfect, every day fit.